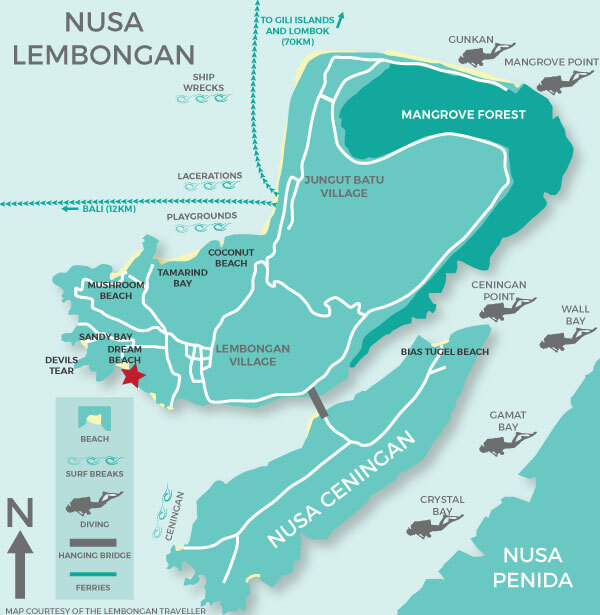 Luxury accommodation on Bali’s small paradise island – Lembongan. 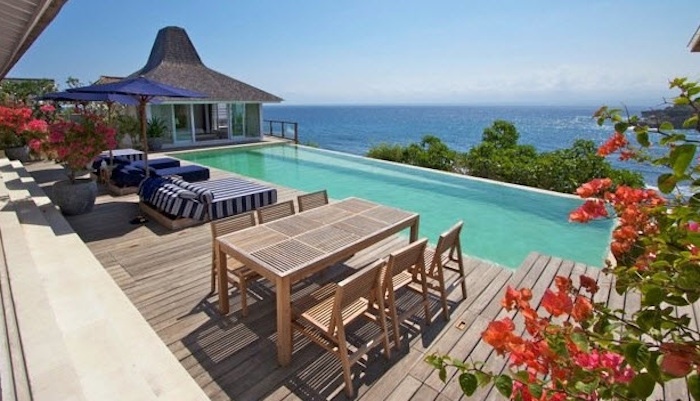 Experience the magic of this island from the luxury, peace & privacy of Villa Bahagia. The ultimate in island living. 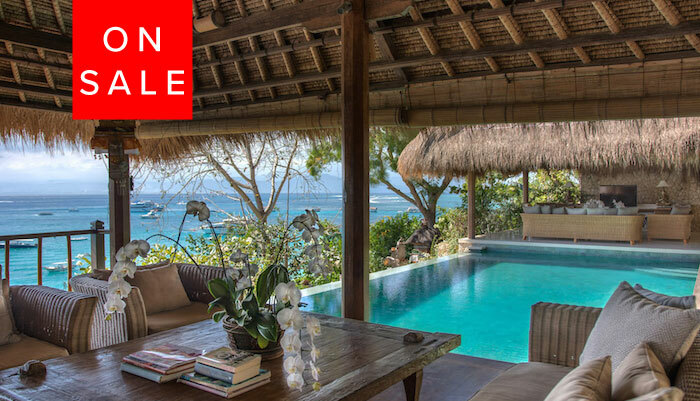 This spectacular villa, set on 2,500sq m, is absolute waterfront and has uninterrupted, sweeping ocean views. 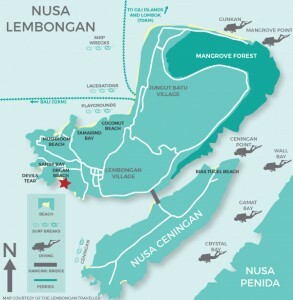 The entire villa, equipped with all modern amenities, is yours. Our friendly and efficient staff of four are there to ensure your stay is fantastic. The large open bale, bordered by a 17 metre infinity pool, takes full advantage of the spectacular view as does the separate, open kitchen and the 4 separate sleeping suites separated by tropical gardens. 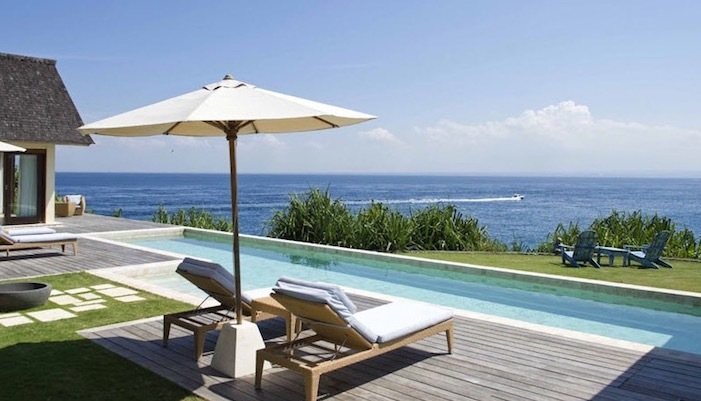 The villa embraces traditional Balinese design and furnishings and is finished with exquisite attention to detail. Features include high pitched, traditional thatched roofing and cool white, polished terrazzo flooring. The villa is delightfully private but close to restaurants, cafes and all that this intriguing island has to offer – white sandy beaches, the best beach on the island is next door, coral reefs teeming with tropical fish, a choice of world class surf breaks, renowned diving with magnificent manta rays and Mola Mola (Sunfish) and traditional temples and villages. 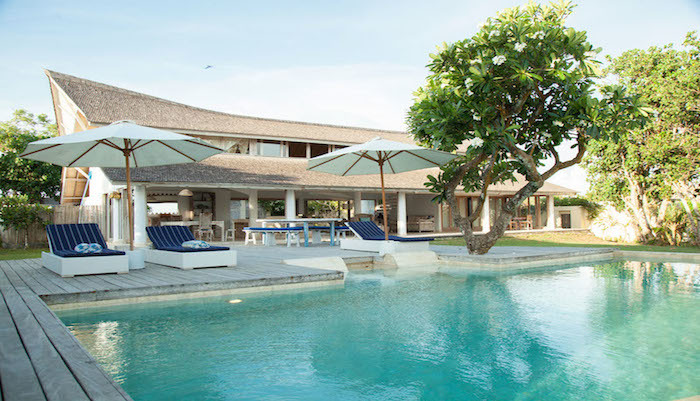 Villa Bahagia, which means happy in Indonesian, offers luxurious accommodation on a special island only thirty minutes by ferry from Sanur yet a world away from bustling Bali. Two bedroom rate of AU$700 / night inc tax and breakfast is offered on request. 4 separate sleeping suites each with king beds and ocean views are separated by tropical gardens. Equipped with all modern amenities, the large open bale, bordered by a 17 metre infinity pool, takes full advantage of the spectacular view as does the separate open kitchen.